CGF Series Full-Automatic Washing, Filling and Capping 3 in 1 Machines. 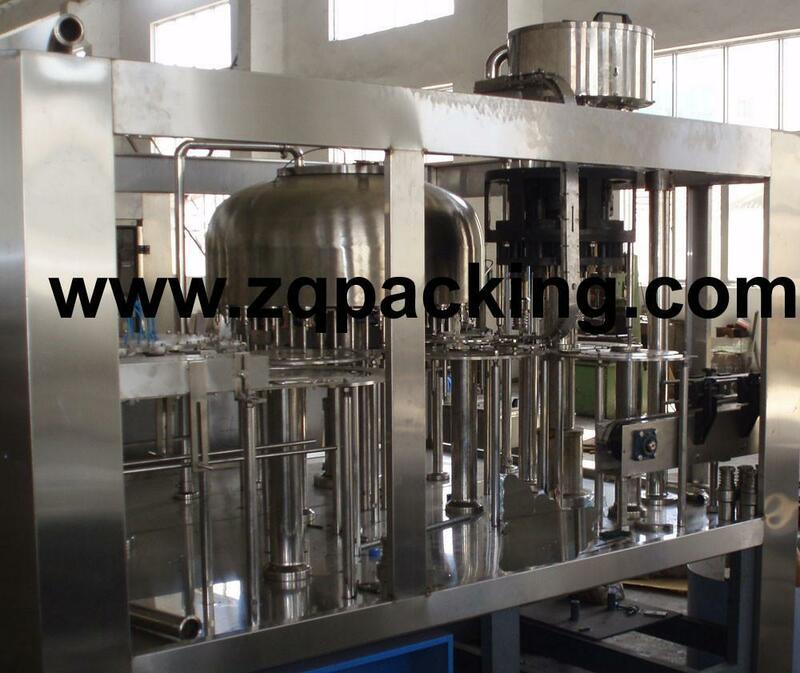 This series of machines are used for packing the pure water, mineral water, juice, etc. By PET bottles. The washing, filling and capping 3 kinds of jobs will be finished just by this one machine. It is very convenient to change diverse sizes of bottles by means of advanced bottle conveying technology--bottleneck clamping & bottle suspending technology. Advanced programmable PLC is equipped to control the main machine. Main electronic components are all from famous international enterprises. All spare parts that may touch with water are made from high-quality stainless steel.